Zeus's death marks the second time a walrus at the park has died in the past 19 months, after a female walrus named Sonja's "surprise" death in May 2017. 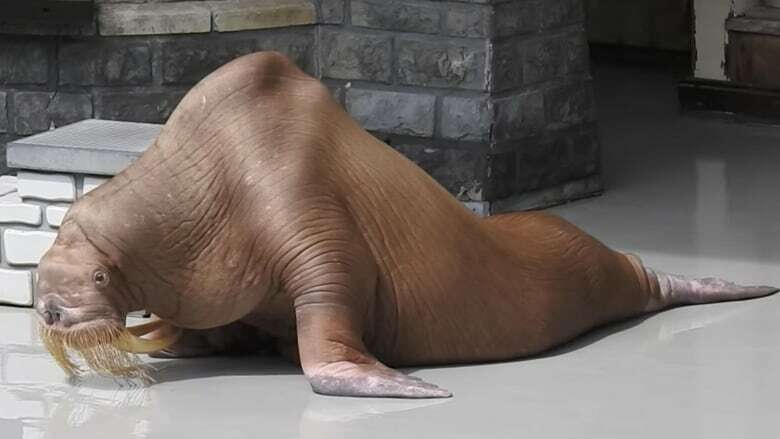 Almost a month after Zeus the walrus died, Marineland has issued a statement confirming his death. Zeus was one of the few remaining walruses at the amusement park and zoo in Niagara Falls, Ont. He died "suddenly and peacefully" of natural causes on Dec. 26, according to Marineland. The large marine mammal's death marks the second time a walrus at the park has died in the past 19 months, after a female walrus named Sonja's "surprise" death in May 2017. Before his death, Zeus was under "normal, full-time veterinary oversight" and wasn't showing any signs of illness, the park stated in a media release dated Jan. 21. Marineland goes on to say that Zeus was eating normally and "was generally at a healthy weight." But Philip Demers, a former animal trainer who worked at the park for more than a decade, said that's not true. In 2016, Demers shared a video on YouTube of Zeus performing at the park, which was picked up by PETA and shared online. It showed the animal's hips and shoulder blades protruding, proving the animal was "weak, lethargic and had no place on a stage," according to Demers. 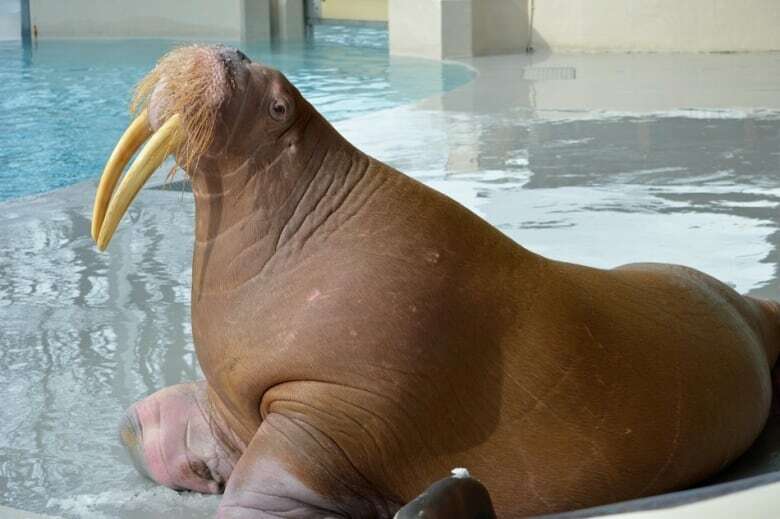 The former trainer, who worked with Zeus during his time at the park, said the walrus had a chronic regurgitation issue that made it difficult to keep down fish, but that struggle wasn't enough to explain his condition in the video. ​"Quite frankly Zeus was lacking probably two-thirds of his weight in blubber," he said. "The images were pretty gut-wrenching." Demers said an argument about the Zeus's health with park owner John Holer, who died in June, was one of the reasons he quit his job in 2012 and became an activist for the animals at Marineland. His claims about the conditions at the park resulted in a $1.5 million lawsuit against him that is still before the courts and a 2015 press release from Marineland saying Demers is not "legally qualified" to diagnose marine mammals. In its statement released Monday, the park said Zeus lived a "life full of enrichment ... among his walrus friends" and he left his mark on "millions of children and families" who learned about walruses by watching him. The park says an "independent and full necropsy has now confirmed that Zeus died of natural causes due to heart failure." It adds the report about the walrus's death has been provided to the Animal Care Committee in accordance with Ontario Marine Mammal Care regulations. "Everyone at Marineland is saddened by his passing," the statement concludes. A postscript at the end of the media release also adds the park only publicly reports details about an animal's death after an "independent, accurate" necropsy report is completed and sent to the committee. But Demers believes the park only made Zeus's death public because of posts he made about it on social media and the resulting requests for comment from media organizations. The death hit him hard, but Demers said he's glad Zeus isn't suffering. Now his focus has turned Smooshi and Apollo, the only two walruses Demers believes are still living at the park. "This was not going to end nicely for Zeus, but my thoughts still lie with the remaining walruses. They need to be removed from Marineland and I think it needs to happen ASAP."